The part of the complex telescope Mobitel (AFD-75 telescope) was moved from mobile platform to specially renovated pavilion of satellite camera. On May 21, 2011 the open day was held (from 12:00 to 20:00). It was devoted to 190 anniversary of NAO. On this day, the observatory was attended by 800 guests and residents of Nikolaev city. The program consisted of exploring the Observatory an astronomical tour through the museum. Museum includes over 150 exhibits: Ancient astronomical instruments, a collection of astronomical clocks, old books, photographs, paintings and maps. Demonstration of current and historical instruments and thematic lectures on astronomy were conducted. Everyone could see how modern astronomical observations are carried out using fast robotic telescope, multi-channel telescope, mobile telescope, the axial meridian circle, which is a national property of Ukraine. May 21, 2011 from 12:00 to 20:00 – An Open Day at the observatory. You will get acquainted with the historical past and the present of Nikolaev Observatory. An astronomical tour of the museum will be held. You will see current and historical astronomical telescopes (at 14:00 and 17: 00 - Beginning of thematic lectures on astronomy). Research Institute "Nikolaev Astronomical Observatory" invites you to take part in the solemn meeting of the Scientific Council of Research of the NAO, which will be held on May 19, 2011 at 12 pm in Nikolaev Astronomical Observatory at Observatornaya 1 street. Each year from the 7th to the 17th of December, the Earth passes through a meteor swarm allowing us to be witness to one of the most abundant meteor showers - the Geminids. They were first noted in 1862. This year, the largest meteor shower fell on December 14, around 2 am, nearly on the first quarter moon (13 December). During the shower’s peak time around 2 am, the moon had already set, allowing it (the meteor shower) to be seen in all its glory. September 7th, 2010 the Nikolaev Astronomical Observatory met with a group of honorable representatives of large Knorre families who had arrived from Germany. Probably not since the first director Karl Knorre (1801-1883) could our observatory remember that within the walls were so many people who proudly wear the name Knorre at the same time. From the 17th to the 20th of May 2010, an international workshop, " Tools and instruments in Astronomy: From the first ground-based telescope to the space instrument." was held at the Research Institute "Nikolaev Astronomical Observatory” (NAO Research Institute). to a minor planet number 14339 KNORRE name was published. This asteroid, which was discovered by the astronomer of Crimean Astrophysical Observatory, Lyudmila Ivanovna Chernykh, in April 1983, by the decision of the International Astronomical Union and by the proposition of the discoverer was named after the dynasty of Knorre astronomers. Research Institute "Nikolaev Astronomical Observatory" invites you to take part in the formal opening session of the International Workshop "Methods and instruments in astronomy: from the first ground-based telescope to space tool,” which will be held on May 18, 2010 at 9 am in Nikolaev Astronomical Observatory at Observatornaya 1 street. The opening of the workshop coincides with the formal opening ceremony of a memorial plaque in honor of the first director K. Knorre. Representatives of regional and local authorities, public education, scientific and cultural community of Nikolaev will be invited. 2. Publication and presentation of a book about the dynasty of Knorre astronomers. 4. Preparation of a nomination for inscribing of NAO in the list of UNESCO World Heritage properties. 5. Publication of advertising materials devoted to the IYA 2009 and NAO. 6. Presentation of a short film about NAO. 7. An Open Day in NAO. 8. Lectures for visitors during the year. The International Year of Astronomy (IYA2009) will be a global celebration of astronomy and its contributions to society and culture, highlighted by the 400th anniversary of the first use of an astronomical telescope by Galileo Galilei. The aim of the Year is to stimulate worldwide interest, especially among young people, in astronomy and science. 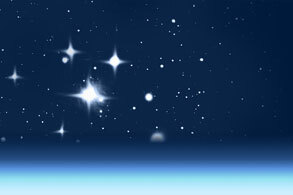 IYA2009 events and activities will promote a greater appreciation of the inspirational aspects of astronomy that embody an invaluable shared resource for all nations. On October 23-24 the organizational workshop was held in Paris. The representatives of Kazan State University (Russia), TUBITAK National Observatory (Turkey), Institute of Celestial Mechanics and Ephemeris Calculations (IMCCE, France), Nikolaev Astronomical Observatory (Ukraine) were present. It was devotd to the international cooperation on the field of the study of Solar system bodies under the Gaia ground-based support which was prepared European Space Agency. Gennadiy Pinigin, A.V. Shulga and A.V. Ivantsov took part from Ukrainian side.